There are so many fun things to do where we live, but if I don’t keep track of them, sometimes we totally forget about them. This is especially true for seasonal activities—once hiking season ends, it’s easy to forget those little nooks and crannies of the neighborhood that we loved last spring once next year rolls around. 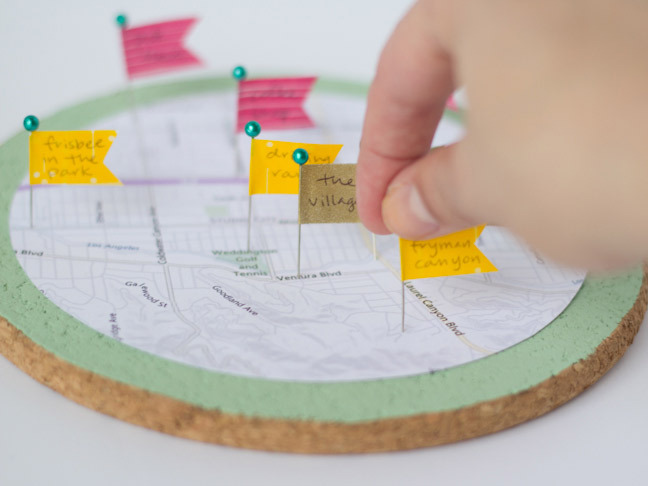 This DIY local adventure ideas map will help you keep track of things to do right outside your door. 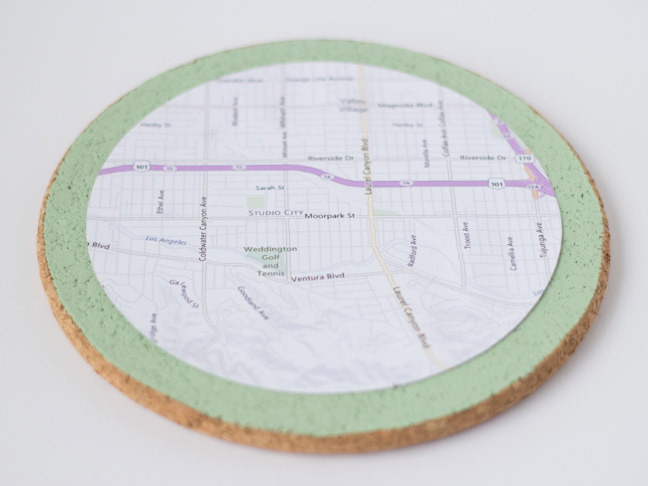 Use it to mark your favorite restaurants, sights that you haven’t yet seen, or adventures that you’d like to plan with the fam. 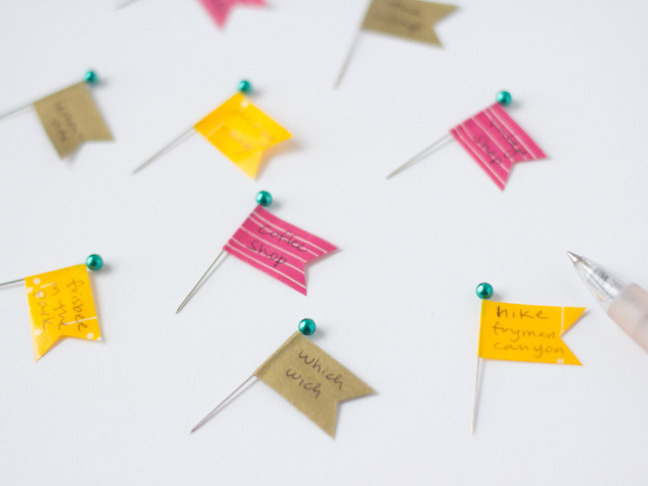 Hang on your wall, and when you’re looking for something to do, just pick a pin and go! Step 1: Search your town in your favorite maps program online. Zoom in on the part of town that you’d like to explore. Most map programs have a little “Print” icon near the top of the screen. 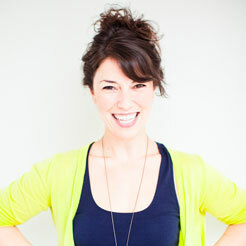 Load your printer with a piece of card stock, and hit the print button. 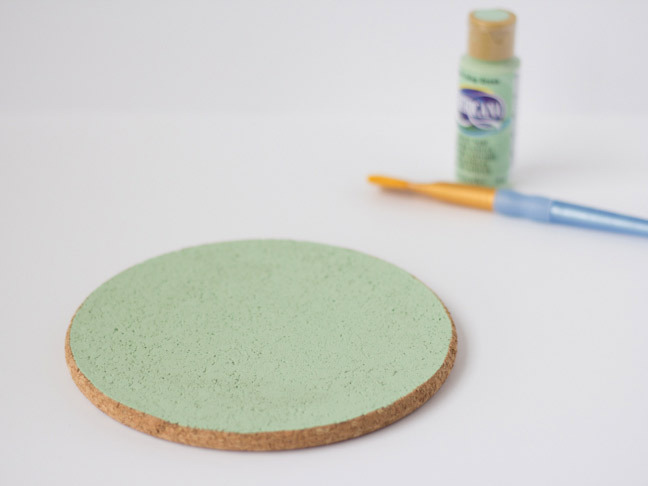 Step 2: (Optional) Paint the corkboard, which will act as a backing to the map. 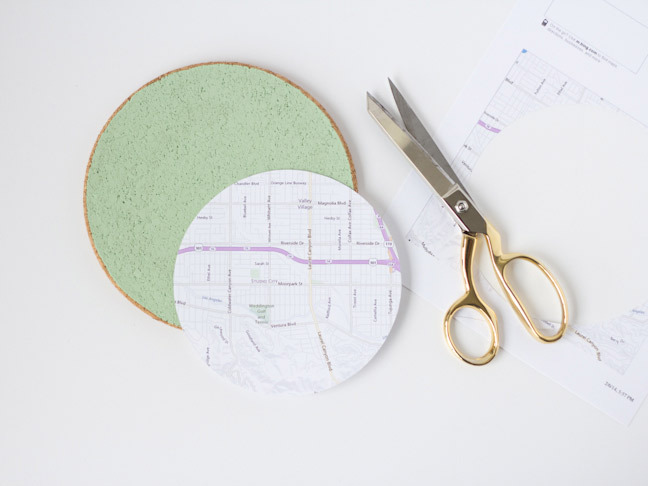 If you’d like to have a decorative strip of color around the borders of your map, choose your favorite hue and spread an even layer of paint on the cork. Let dry completely. Step 3: Cut the map to fit the corkboard. Step 4: Glue the map to the corkboard. 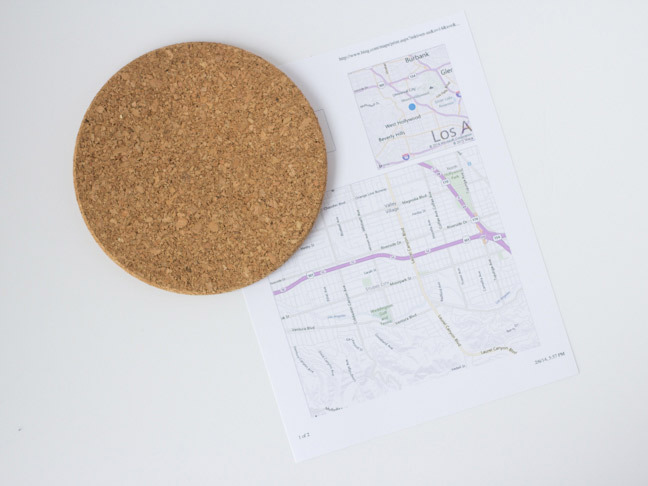 Spread a thin layer of glue onto the cork and center the map carefully before smoothing onto the backing. 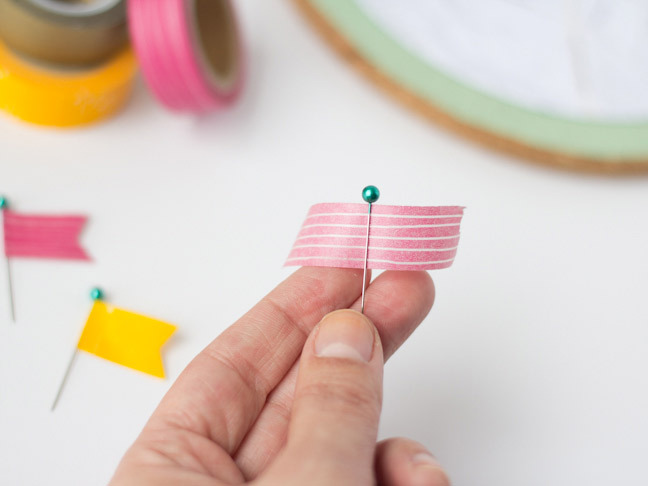 Step 5: Cut a small piece of washi tape and fold over a straight pin so that the tape adheres to itself. Trim the ends of the tape. 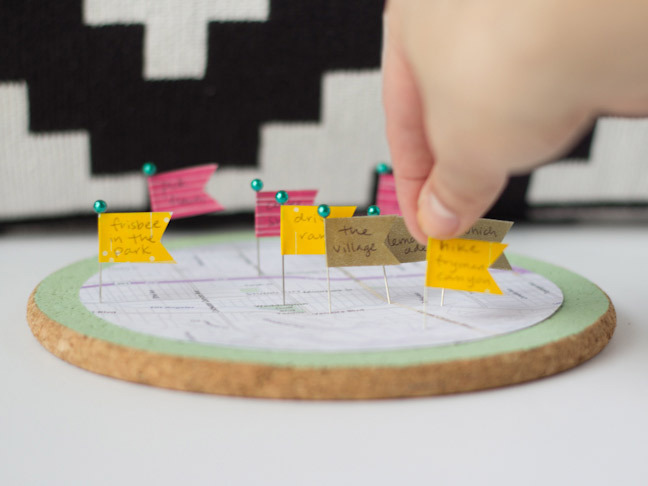 Step 6: Write the name of a place or activity on the little washi tape flag and stick it into the map at the appropriate area. 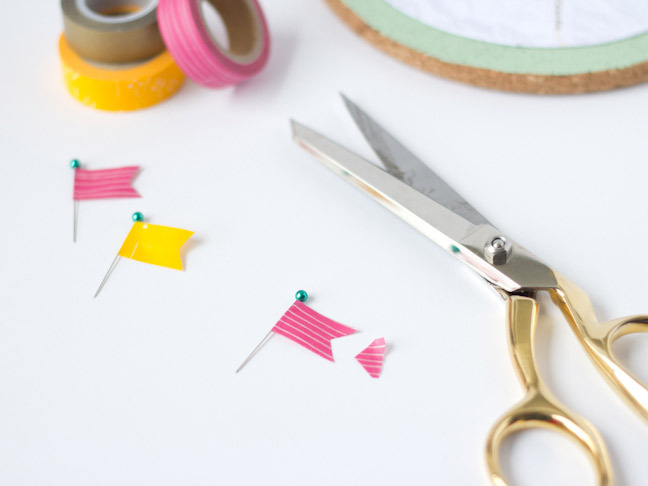 Step 7: Make another flag for each thing that you’d like to do! 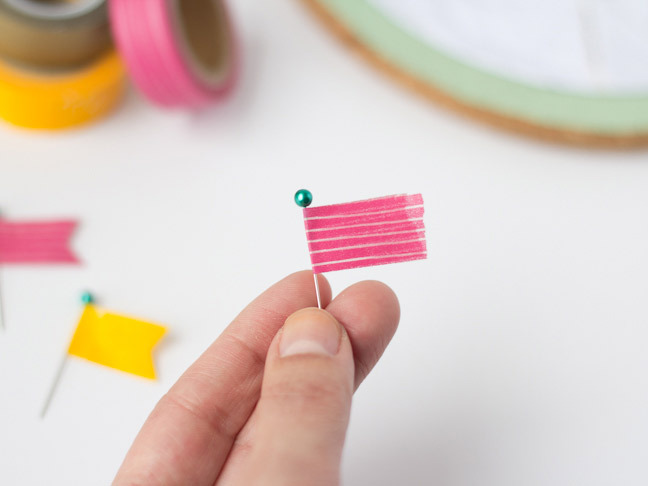 You can use different colors of tape for different types of activities (restaurants, sights, shops) or to denote different people (his and hers). 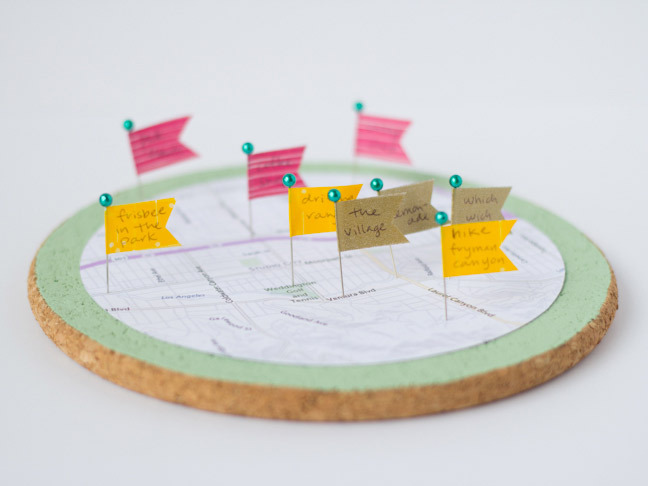 Fill up your map and grab a pin from it every time you are looking for an adventure!